With Windows Phone confined to memory alone, Microsoft has been concentrating on developing apps for Android and iOS to try and get a toehold in the mobile space. The company already has an insane number of apps on the two platforms, including its popular Office suite, but it continues to add new apps to the mix on a fairly regular basis. The latest one is called ‘Photos Companion’ which Microsoft has been in testing for several months. The new app is available on both Android and iOS, and can be downloaded from the App Store and the Play Store. 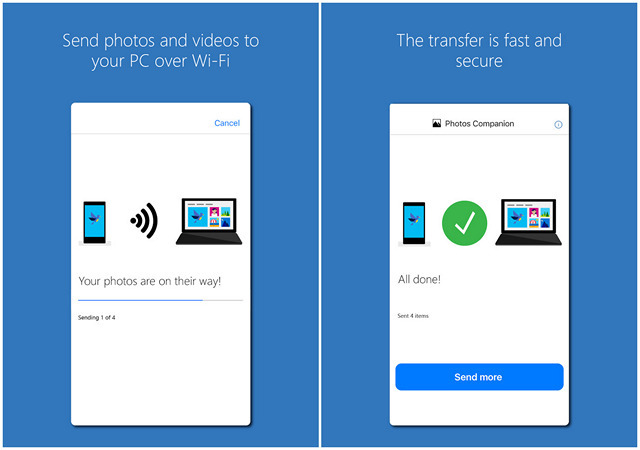 The Photos Companion app is meant to make it easier for users to transfer all or selected photos and videos from the phone to PCs, notebooks and tablets running Windows 10. Microsoft says that it has designed the app primarily with students in mind. According to the company, “The biggest hurdle many classrooms faced was getting the content students had captured with their phones onto their project PCs”. 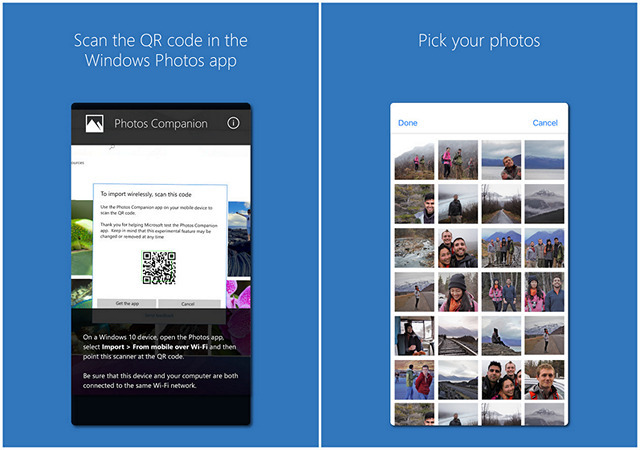 The app uses QR codes to link with the ‘Photos’ app on Windows 10 to carry out the transfers, provided both devices are on the same Wi-Fi network. To begin the transfer process, all you need to do is select Import > From mobile over Wi-Fi on the mobile app and then point the app’s built-in QR-code scanner at the code displayed on the PC. It’s worth noting here that, in case the Import from mobile over Wi-Fi option is not visible in the Photos app on your PC, you need to enable the Show additional preview features option that is available in the Settings section of the Photos app on your computer.